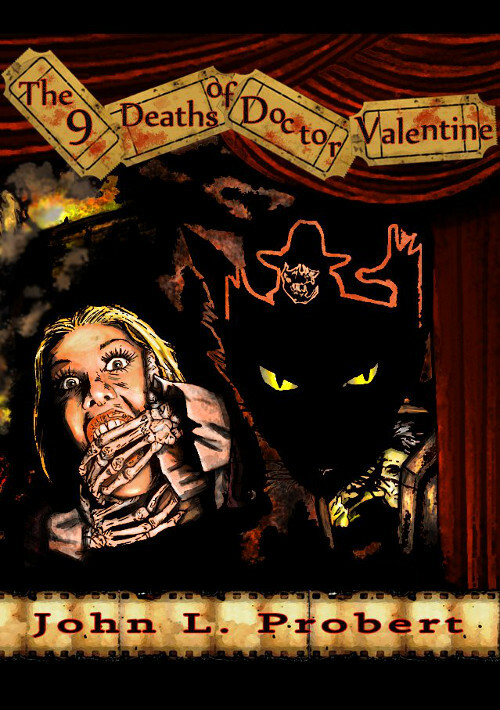 Yesterday we had a review of a book which was published at Christmastime last year and today we bring you notice of a review of a book that was launched at last year’s FantasyCon at the end of September – John Llewellyn Probert’s The Nine Deaths of Dr. Valentine. This one’s from the British Fantasy Society website and was written by Richard Webb – you can catch up with what Mr. Webb says about the novella by going here. 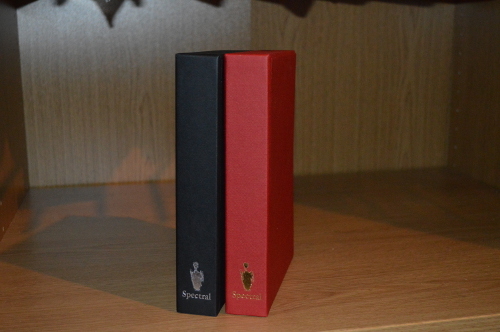 Also yesterday we launched the pre-orders for the extremely limited TEN-only special slipcased boxset edition of the Collected Spectral Chapbooks: Volumes I – VIII (January 2011 – December 2012)(The red slipcase in the above photo). We are immensely proud to report that all ten were sold within four hours – a record for Spectral (granted there were only ten to sell, but still…). If you missed this edition, then fear not: in late September we will be publishing unlimited paperback and eBook editions of The Collected Spectral Chapbooks: Volume One, which will include new illustrations by Nick Gucker accompanying each story. We are looking to launched the book at Andromeda One, a one-day horror, science fiction and fantasy convention in Birmingham on 21st September. Prices are not yet set for the book, however if you would like to reserve a copy then please email us at spectralpress[AT]gmail[DOT]com and let us know! More details in due course.